Tibet has been conjectured for its mystery flavor. From Beijing to Lhasa via the Qinghai-Tibet Railway and take the personal car from Lhasa to Nyingchi, Shigatse and Everest Base Camp, you will be touched by this holy land. On arrival in Beijing Capital International Airport, meet our guide and transfer to hotel. The rest of day is at leisure. Pick up from your hotel. Visit to the Tiananmen Square - the world biggest public square, surrounding or pockmarking the square are the monuments of China past and present. Then move on to the Forbidden City - home to the emperors of the Qing and Ming dynasties and one of the world's greatest works of architecture. After lunch, visit the Temple of Heaven - a miracle in architectural history. Dinner will be the most famous Beijing cuisine, Beijing Roast Duck. Morning tour features the Mutianyu Great Wall. After lunch you will be driven to visit Changling Mausoleum, the largest one of the 13 Ming Tombs. Take overnight train to Xian. Deluxe cabin with two berths and private washroom can be booked for you. Be met upon arrival in Xian and transfer to hotel for breakfast. Visit Terracotta Warriors Museum after a short rest. In the afternoon, you will be transfered back to downtown and visit Grand Mosque in Muslim Quarters. The Drum Tower and Bell Tower is also in this area. Visit Shaanxi History Museum in the morning. In the afternoon, take a biking tour on top of the Ancient City Wall. Take a family visit to local people and learn dumpling making with the host. 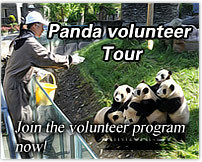 You can also have chance to learn how to cook one or two Chinese dishes. Take morning high speed train to Xining (4.5hrs) this morning. When arrive in Xining, be met and take a short city tour including the Grand Mosque and old quaters. Take early evening train to Lhasa. The Qinghai-Tibet railway is the highest of its kind in the world. Your long journey is not insipid at all because you are amazed by the beautiful scenery outside the train window! Upon you reach Lhasa, be picked up to your hotel. Then have a good rest to acclimatize to high altitude reaction. Today, your exciting Tibet tour will start from the world highest holy land of Buddhism - Potala Palace and the Jokhang Temple - the center of Tibetan Buddhism. Then you will visit the very traditional Tibetan street--Barkhor Street. After breakfast, visit Drepung Monastery. In the afternoon, visit Sera Monastery. 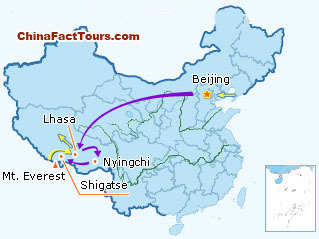 This morning, be driven (5-6hrs) to Nyingchi (Linzhi) - one of the cradles of ancient Tibetan civilization. On the way you can enjoy the beautiful scenery of the Niyang River valley and admire a gigantic rock in the river. You will cross the Mila Mountain Pass (at 5013.25 meters) and reach the Basumtso Lake, where you will enjoy 1 hour hiking and see many snow mountains. The place is nicknamed the Tibetan Jiuzaigou or the lesser Switzerland for its beautiful landscape. It will absolutely strike you! After that, go on driving to Nyingchi. After breakfast, drive about 40 minutes to visit the Giant Cypress Forest. The largest tree is over 2,500 years old, 50 meters high, and 18 meters thick. Local people regard it as a divine tree. After 40-minute-visit, drive back Lhasa. On the way, you will see the beautiful Bangjietang Grassland, snow mountains, primitive forest, sheep, yaks, and traditional Tibetan hamlets. Be escorted to the airport for flight to your next destination. Hello, K. Mong, thanks for your message.As you've been to Beijing, we can revise the program and arrange tours to Tibet and other cities for you. If you want to experience tain travel to enter Tibet, we would suggest you fly to Xining and take train from Xining to Lhasa. We will assist you to obtain China visa and Travel Tibet Permit. Our travel consultant will send you emails to offer more details. I was in Beijing few times, I don't need to visit the Square, Forbiden City, etc.....All I need is to go on to the Train and Tour Tibet, what kind tour should I look for and just app. price of it. Thanks.